BlogHome Blog Headlines, Latest News, News, Newswire Cricket Canada’s Development Team is on a roll. 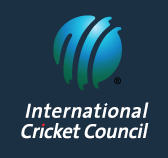 Cricket Canada’s Development Team is on a roll. Canada A or perhaps more appropriately “Canada’s A For Awesome” players of the National Development team are certainly on a roll. 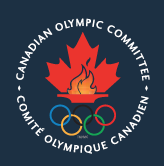 The team’s August 30 performance has certainly strengthened the expressed belief that “the development team will produce some of the best Canadian players, Canada has ever witnessed”. The Canada A Development team fulfilled all their potential on August 30, as they played to their very best against both the Toronto Bears and Canadian Senior Men’s National Teams. 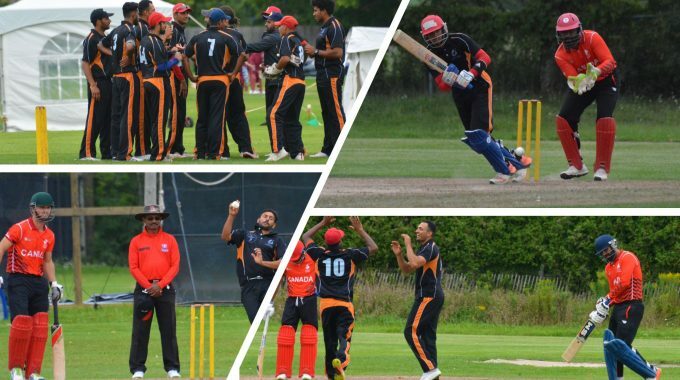 In the first match against Toronto Bears, Canada A having won the toss and elected to bat, scored 152 for 2 wickets only. Abraash Khan scored an aggressive, undefeated 104 in merely 58 balls before he was out caught. Canada A’s bowlers and fielders then made it extremely tough for the Bears to chase their targeted 153 for victory. Eranga captured 3 wickets and was ably supported by Mann, Pathan, Ravinder and Khan who all took 1 wicket each. Such commendable and consistent performances by Canada A’s bowlers and fielders throughout this tournament may yet prove to be a game changer for Cricket in Canada. 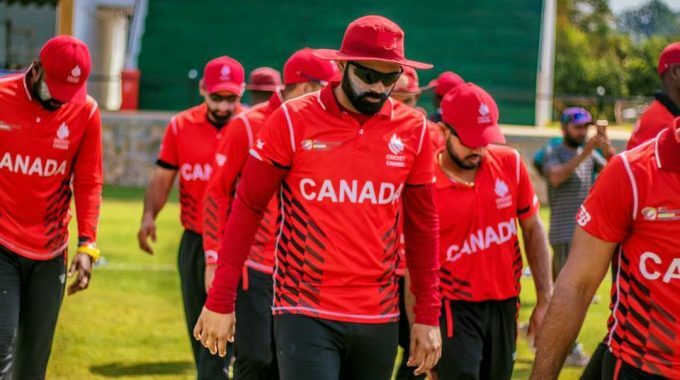 Having emerged with a tie against the Bears, the “Awesome”Canada A team performed with equal enthusiasm and passion against the CC Senior Men’s National Team. The final result was an exciting and heartfelt loss by only 5 runs! Playing against the far more polished and seasoned National Team required tons of courage, which Canada’s Development A Team showed every bit of at the King City, Maple Leaf grounds during their August 30 second match fixture. The day belonged to the Canada A bowlers and fielders as Eranga, Pathan and Pathmanathan each took 2 wickets. 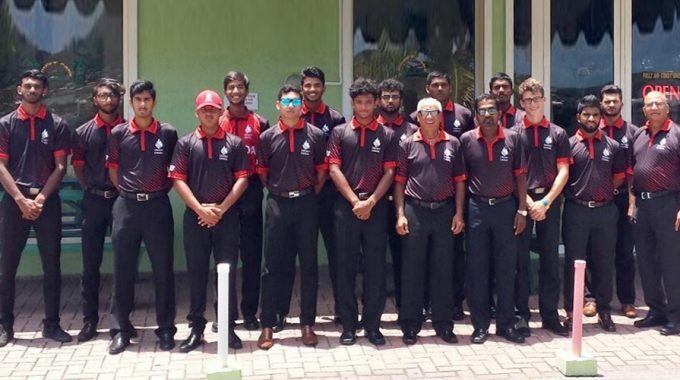 They were supported by one wickets hauls from Rocke, Brar and Ravinder in admirably limiting the national team to just 124 all out in only 19.4 overs. The A team then chased the score diligently with Thaker scoring 41 runs from on 48 balls, as they agonizingly fell short of their required target by just 5 runs. 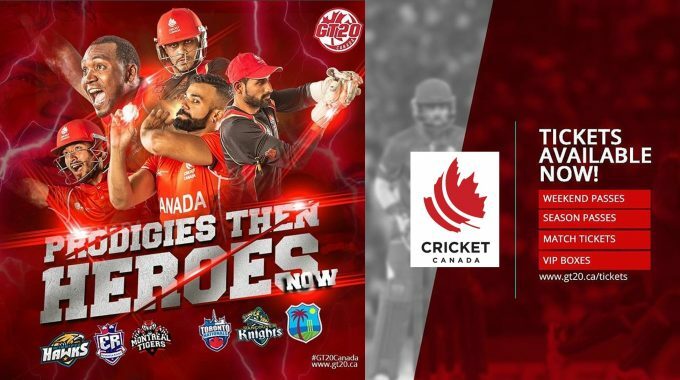 Cricket Canada’s high hopes were that this festival would surely bring out some of Canada’s best budding cricketing talent. Indeed, by their performances to date the Canada A Development Team now seem to be doing exactly so. Kudos to them.